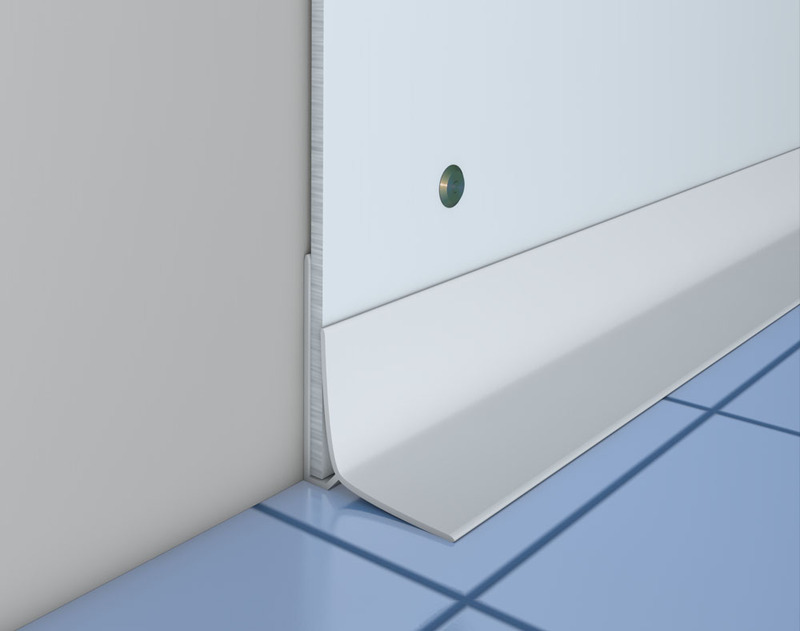 Filon Multiclad is an opaque white glass reinforced polyester (GRP) panel with a tough, wear-resistant ‘cracked ice’ embossed finish for wall cladding applications. It’s non-toxic and compliant with Code of Practice for use in food preparation areas. The surface is highly scratch and stain resistant and is unaffected by blood, detergents, antiseptics or steam cleaning making it the perfect hygienic cladding material for food preparation areas and abattoirs. The depth of embossing is insufficient to retain dirt but enough to prevent direct ‘run off’ during cleaning. This enables the surface to be more easily and antiseptically cleansed. GRP is a highly versatile product with outstanding properties which make it suitable for all kinds of applications. As a pioneer in the use of GRP for construction and other sectors, Filon can work with clients to develop bespoke materials, both flat sheets and special profiles, to suit a wide spectrum of requirements and applications. We can produce both translucent and coloured sheets that are either opaque or tinted to virtually any standard RAL or BS reference colour and in a wide range of thicknesses. We are able to use a variety of glass reinforcement technologies to meet specific needs for varying strength characteristics and three fire rated grades are available as well as a range of alternative surface finishes including matt UV and embossed UV protection. Our standard gloss UV protection is also available in enhanced versions to provide longer life expectations or greater durability.